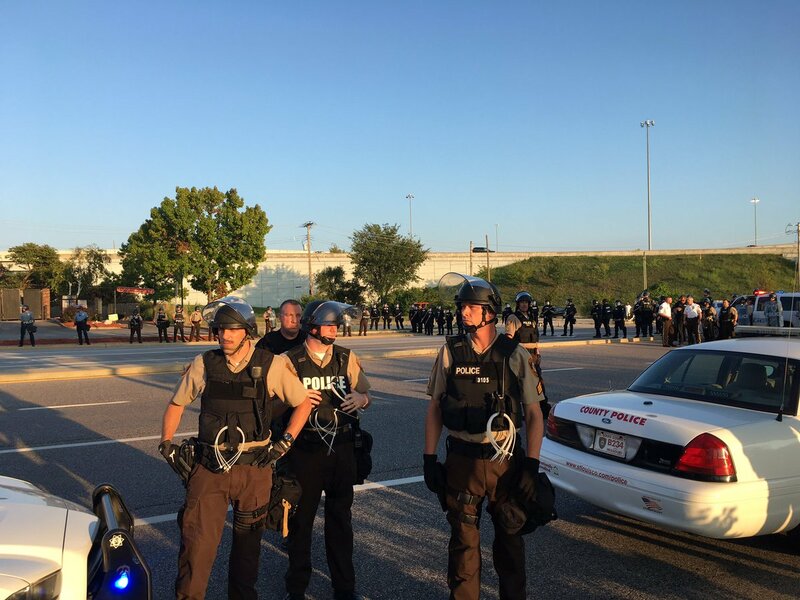 St. Louis County Police Department personnel will be getting a raise after the St. Louis County Council approved an ordinance on Tuesday night. The St. Louis County Council passed the ordinance 6-0, with Councilman Ernie Trakas being absent. The raise was originally introduced by County Executive Steve Stenger along with the county police union, would raise the income of the county police staff by 30 percent. The raise would go into effect on Jan. 1, 2018. The police wage increase would come from Proposition P tax with approximately $19 million of the tax money going towards the increase in salary for county police. Proposition P is a half-cent sales tax that’s expected to generate $80 million a year for public safety. It was passed this April with sixty-three percent of St. Louis County voters voting in favor of the tax. The ordinance also included a substitution bill that requires 15 percent of the Proposition P money to be set aside for pensions, requested by Councilman Sam Page. Page said it was a precautionary step to avoid having pension problems in the future. Joe Patterson, the president of the St. Louis County Police Association, said this new raise was a longtime coming and a challenge worth pursuing. Thank you for another wonderful article. Where else could anyone get that kind of info in such an ideal approach of writing? I have a presentation subsequent week, and I’m at the search for such information. What i do not realize is actually how you are no longer actually much more smartly-favored than you might be now. You’re so intelligent. You recognize therefore significantly on the subject of this matter, produced me in my opinion imagine it from so many numerous angles. Its like women and men aren’t fascinated unless it is one thing to accomplish with Girl gaga! Your own stuffs nice. All the time maintain it up! I think this website has got some very superb info for everyone. “To be able to be caught up into the world of thought — that is being educated.” by Edith Hamilton. Superb post but I was wondering if you could write a litte more on this topic? I’d be very thankful if you could elaborate a little bit further. Bless you! Thanks for every other excellent post. The place else could anyone get that kind of information in such an ideal means of writing? I’ve a presentation next week, and I’m on the look for such info. I love looking at and I conceive this website got some truly useful stuff on it! . Greetings from Colorado! I’m bored to death at work so I decided to browse your website on my iphone during lunch break. I enjoy the info you present here and can’t wait to take a look when I get home. I’m amazed at how fast your blog loaded on my phone .. I’m not even using WIFI, just 3G .. Anyways, very good blog! Thanks for every other excellent article. The place else may just anyone get that kind of information in such a perfect means of writing? I’ve a presentation subsequent week, and I’m on the look for such info. certainly like your web-site however you need to check the spelling on several of your posts. Many of them are rife with spelling problems and I in finding it very troublesome to tell the reality on the other hand I will surely come back again. you’ve an incredible blog right here! would you like to make some invite posts on my weblog? What¦s Taking place i am new to this, I stumbled upon this I’ve found It absolutely useful and it has helped me out loads. I am hoping to contribute & aid other customers like its aided me. Great job. Do you have a spam issue on this site; I also am a blogger, and I was wondering your situation; we have developed some nice procedures and we are looking to exchange methods with other folks, why not shoot me an e-mail if interested. I am not rattling excellent with English but I line up this real easy to interpret. I’ll immediately take hold of your rss feed as I can not in finding your email subscription hyperlink or e-newsletter service. Do you’ve any? Please permit me recognize so that I may subscribe. Thanks. Hiya, I am really glad I have found this info. Nowadays bloggers publish just about gossips and internet and this is really frustrating. A good site with interesting content, that’s what I need. Thanks for keeping this web site, I will be visiting it. Do you do newsletters? Can’t find it. I have read a few just right stuff here. Definitely value bookmarking for revisiting. I surprise how much attempt you put to create one of these wonderful informative web site. Thanks – Enjoyed this article, how can I make is so that I get an update sent in an email every time you make a fresh article? I’ll right away grab your rss feed as I can’t find your e-mail subscription link or e-newsletter service. Do you have any? Please let me know in order that I could subscribe. Thanks. Thanks for every other magnificent post. Where else may just anybody get that type of info in such a perfect way of writing? I’ve a presentation subsequent week, and I am at the search for such info. What i do not realize is in fact how you’re not actually much more well-preferred than you may be right now. You’re very intelligent. You realize thus considerably on the subject of this topic, made me in my opinion imagine it from so many numerous angles. Its like men and women don’t seem to be involved except it is something to do with Lady gaga! Your individual stuffs outstanding. At all times deal with it up! I got what you intend, thanks for posting.Woh I am delighted to find this website through google. “Since the Exodus, freedom has always spoken with a Hebrew accent.” by Heinrich Heine. I will right away grab your rss as I can not to find your email subscription link or newsletter service. Do you’ve any? Kindly let me recognise so that I could subscribe. Thanks. Rattling wonderful information can be found on website. “I can think of nothing less pleasurable than a life devoted to pleasure.” by John D. Rockefeller. Woah! I’m really enjoying the template/theme of this site. It’s simple, yet effective. A lot of times it’s difficult to get that “perfect balance” between usability and visual appearance. I must say that you’ve done a great job with this. In addition, the blog loads super quick for me on Internet explorer. Outstanding Blog! Thank you for the good writeup. It in truth used to be a entertainment account it. Look complex to more delivered agreeable from you! By the way, how can we be in contact? Hi, i believe that i saw you visited my web site thus i got here to “return the prefer”.I’m trying to to find issues to improve my web site!I guess its adequate to use a few of your ideas!! Hello very nice website!! Guy .. Excellent .. Amazing .. I will bookmark your blog and take the feeds additionally…I am happy to find numerous useful information here in the post, we want develop extra strategies on this regard, thank you for sharing. . . . . . This website online is really a walk-by for the entire data you wished about this and didn’t know who to ask. Glimpse here, and you’ll undoubtedly uncover it. I have been browsing on-line greater than three hours today, but I by no means found any attention-grabbing article like yours. It is beautiful worth enough for me. In my opinion, if all webmasters and bloggers made just right content as you probably did, the internet shall be a lot more helpful than ever before. “Where facts are few, experts are many.” by Donald R. Gannon. I will right away take hold of your rss as I can’t find your email subscription hyperlink or newsletter service. Do you’ve any? Please allow me know in order that I may subscribe. Thanks. I have read a few good stuff here. Certainly value bookmarking for revisiting. I surprise how so much effort you place to make the sort of wonderful informative web site. Does your blog have a contact page? I’m having problems locating it but, I’d like to send you an e-mail. I’ve got some creative ideas for your blog you might be interested in hearing. Either way, great blog and I look forward to seeing it develop over time. Very nice post. I just stumbled upon your weblog and wanted to mention that I’ve really loved browsing your weblog posts. In any case I’ll be subscribing in your rss feed and I hope you write again very soon! Thanks for the auspicious writeup. It in reality used to be a leisure account it. Glance advanced to far added agreeable from you! However, how could we keep in touch? I’d must verify with you here. Which is not one thing I often do! I enjoy reading a post that can make individuals think. Also, thanks for permitting me to comment! I absolutely love your blog and find many of your post’s to be exactly I’m looking for. Does one offer guest writers to write content to suit your needs? I wouldn’t mind creating a post or elaborating on some of the subjects you write regarding here. Again, awesome site! Hey, you used to write wonderful, but the last several posts have been kinda boring?K I miss your great writings. Past several posts are just a little out of track! come on! Hey very cool web site!! Man .. Beautiful .. Amazing .. I will bookmark your site and take the feeds also…I’m happy to find so many useful info here in the post, we need develop more techniques in this regard, thanks for sharing. . . . . .
Hi! I just wanted to ask if you ever have any trouble with hackers? My last blog (wordpress) was hacked and I ended up losing several weeks of hard work due to no backup. Do you have any methods to stop hackers? Thanks for some other fantastic article. Where else may anyone get that kind of info in such an ideal means of writing? I’ve a presentation next week, and I am at the search for such information. Very well written information. It will be valuable to anybody who employess it, including yours truly :). Keep doing what you are doing – for sure i will check out more posts. Hello, i read your blog occasionally and i own a similar one and i was just curious if you get a lot of spam feedback? If so how do you protect against it, any plugin or anything you can suggest? I get so much lately it’s driving me insane so any support is very much appreciated. I’ve been browsing online greater than three hours today, but I by no means discovered any fascinating article like yours. It’s beautiful worth enough for me. Personally, if all webmasters and bloggers made good content as you probably did, the internet will be a lot more helpful than ever before. “Learn to see in another’s calamity the ills which you should avoid.” by Publilius Syrus. You are my aspiration, I own few blogs and rarely run out from to post : (. I am curious to find out what blog system you have been using? I’m having some minor security problems with my latest website and I’d like to find something more safeguarded. Do you have any suggestions? What i do not understood is in truth how you are no longer really a lot more well-favored than you may be now. You are very intelligent. You know therefore considerably on the subject of this topic, produced me personally believe it from a lot of varied angles. Its like women and men are not fascinated except it is something to do with Woman gaga! Your personal stuffs excellent. At all times maintain it up! You made some decent factors there. I looked on the internet for the difficulty and found most people will go along with with your website. What i don’t understood is actually how you are not really much more well-favored than you might be now. You are very intelligent. You realize therefore significantly in terms of this subject, produced me personally imagine it from a lot of various angles. Its like men and women aren’t involved unless it is something to accomplish with Girl gaga! Your own stuffs great. Always maintain it up! Just about all of the things you say happens to be supprisingly appropriate and that makes me ponder why I hadn’t looked at this in this light before. This particular piece really did turn the light on for me as far as this issue goes. Nevertheless there is actually one particular position I am not really too comfy with and while I make an effort to reconcile that with the actual main theme of the issue, let me observe exactly what all the rest of your readers have to say.Nicely done. Do you have a spam issue on this blog; I also am a blogger, and I was wanting to know your situation; many of us have created some nice methods and we are looking to swap techniques with other folks, be sure to shoot me an e-mail if interested. You actually make it seem so easy along with your presentation but I in finding this matter to be actually something that I believe I might by no means understand. It kind of feels too complicated and extremely large for me. I’m looking forward for your next submit, I’ll try to get the hold of it! I went over this website and I think you have a lot of great information, saved to favorites (:. I have been exploring for a bit for any high quality articles or blog posts on this sort of area . Exploring in Yahoo I at last stumbled upon this website. Reading this information So i am happy to convey that I have an incredibly good uncanny feeling I discovered just what I needed. I most certainly will make certain to don’t forget this website and give it a look regularly. I am really inspired along with your writing abilities and also with the layout for your blog. Is this a paid theme or did you customize it yourself? Anyway keep up the nice quality writing, it is rare to look a great blog like this one these days..
Woah! I’m really enjoying the template/theme of this blog. It’s simple, yet effective. A lot of times it’s tough to get that “perfect balance” between user friendliness and appearance. I must say you’ve done a amazing job with this. Also, the blog loads very quick for me on Firefox. Excellent Blog! naturally like your web-site however you have to take a look at the spelling on quite a few of your posts. A number of them are rife with spelling issues and I to find it very bothersome to inform the reality on the other hand I¦ll definitely come again again. Great blog! Do you have any helpful hints for aspiring writers? I’m planning to start my own blog soon but I’m a little lost on everything. Would you suggest starting with a free platform like WordPress or go for a paid option? There are so many options out there that I’m totally confused .. Any ideas? Thanks! Excellent web site. Plenty of helpful info here. I’m sending it to some buddies ans additionally sharing in delicious. And of course, thank you to your sweat! It’s the best time to make a few plans for the longer term and it’s time to be happy. I’ve learn this submit and if I may just I desire to recommend you some interesting things or suggestions. Maybe you could write next articles regarding this article. I want to read more issues approximately it! Greetings from Florida! I’m bored at work so I decided to browse your blog on my iphone during lunch break. I really like the information you present here and can’t wait to take a look when I get home. I’m shocked at how quick your blog loaded on my phone .. I’m not even using WIFI, just 3G .. Anyhow, wonderful site! I have been surfing online more than three hours today, but I never found any attention-grabbing article like yours. It is lovely worth sufficient for me. In my view, if all website owners and bloggers made just right content material as you probably did, the internet will probably be much more useful than ever before. There is noticeably a bundle to identify about this. I consider you made some nice points in features also. Hi there, i read your blog occasionally and i own a similar one and i was just wondering if you get a lot of spam comments? If so how do you prevent it, any plugin or anything you can suggest? I get so much lately it’s driving me crazy so any support is very much appreciated. magnificent points altogether, you just won a emblem new reader. What would you recommend in regards to your publish that you just made some days ago? Any certain? Thank you for your entire effort on this web page. My daughter take interest in managing internet research and it’s easy to understand why. All of us know all relating to the powerful method you present precious tactics through the website and as well welcome contribution from website visitors about this point plus our own daughter is undoubtedly becoming educated a lot of things. Enjoy the rest of the year. You’re the one conducting a great job. Woah! I’m really digging the template/theme of this site. It’s simple, yet effective. A lot of times it’s hard to get that “perfect balance” between superb usability and visual appearance. I must say you have done a excellent job with this. In addition, the blog loads extremely quick for me on Opera. Excellent Blog! I’ve been exploring for a little bit for any high quality articles or blog posts on this kind of area . Exploring in Yahoo I at last stumbled upon this website. Reading this info So i’m happy to convey that I’ve a very good uncanny feeling I discovered exactly what I needed. I most certainly will make sure to don’t forget this site and give it a look regularly. I will right away take hold of your rss as I can’t find your email subscription hyperlink or e-newsletter service. Do you’ve any? Kindly allow me realize in order that I may just subscribe. Thanks. of course like your web site however you have to check the spelling on quite a few of your posts. Several of them are rife with spelling issues and I find it very troublesome to tell the truth however I¦ll surely come again again. Can I just say what a aid to find somebody who really is aware of what theyre speaking about on the internet. You positively know methods to convey a problem to gentle and make it important. More folks have to learn this and perceive this aspect of the story. I cant believe youre no more widespread because you positively have the gift. Some really nice and utilitarian information on this web site, likewise I believe the style holds fantastic features. Hi there would you mind letting me know which hosting company you’re using? I’ve loaded your blog in 3 different browsers and I must say this blog loads a lot quicker then most. Can you suggest a good internet hosting provider at a reasonable price? Cheers, I appreciate it! naturally like your web site however you need to check the spelling on quite a few of your posts. A number of them are rife with spelling issues and I in finding it very bothersome to tell the reality on the other hand I will definitely come back again. You really make it appear really easy with your presentation however I to find this topic to be actually one thing which I believe I would never understand. It sort of feels too complicated and extremely huge for me. I am looking ahead for your next post, I¦ll attempt to get the hold of it! Hi, Neat post. There’s a problem with your website in web explorer, would check thisK IE still is the marketplace leader and a huge component of folks will miss your magnificent writing because of this problem. After I originally commented I clicked the -Notify me when new comments are added- checkbox and now every time a remark is added I get four emails with the identical comment. Is there any means you possibly can remove me from that service? Thanks! Thanks for sharing superb informations. Your site is very cool. I am impressed by the details that you’ve on this blog. It reveals how nicely you understand this subject. Bookmarked this web page, will come back for extra articles. You, my pal, ROCK! I found just the information I already searched everywhere and simply could not come across. What a great web site. Thank you for sharing superb informations. Your website is very cool. I’m impressed by the details that you have on this blog. It reveals how nicely you perceive this subject. Bookmarked this website page, will come back for extra articles. You, my pal, ROCK! I found simply the info I already searched everywhere and just couldn’t come across. What a perfect web site. Howdy would you mind letting me know which webhost you’re working with? I’ve loaded your blog in 3 completely different internet browsers and I must say this blog loads a lot faster then most. Can you recommend a good hosting provider at a honest price? Cheers, I appreciate it! Its like you read my mind! You seem to know so much about this, like you wrote the book in it or something. I think that you can do with some pics to drive the message home a little bit, but instead of that, this is excellent blog. An excellent read. I will certainly be back. Whats up! I just would like to give an enormous thumbs up for the good data you’ve got right here on this post. I will be coming back to your weblog for more soon. Hello! I know this is kind of off topic but I was wondering which blog platform are you using for this website? I’m getting tired of WordPress because I’ve had issues with hackers and I’m looking at alternatives for another platform. I would be awesome if you could point me in the direction of a good platform. What¦s Taking place i’m new to this, I stumbled upon this I have discovered It absolutely helpful and it has helped me out loads. I hope to give a contribution & aid other users like its helped me. Good job. I got what you mean , thankyou for putting up.Woh I am glad to find this website through google. “Spare no expense to make everything as economical as possible.” by Samuel Goldwyn. I have been browsing online greater than three hours lately, yet I by no means discovered any attention-grabbing article like yours. It is lovely value sufficient for me. Personally, if all site owners and bloggers made good content material as you probably did, the net shall be much more helpful than ever before. “I think that maybe if women and children were in charge we would get somewhere.” by James Grover Thurber. Thank you for helping out, great info. “Job dissatisfaction is the number one factor in whether you survive your first heart attack.” by Anthony Robbins. I just couldn’t depart your site prior to suggesting that I actually enjoyed the standard information a person supply on your guests? Is going to be back steadily in order to check out new posts. Thanks for the good writeup. It in fact was once a amusement account it. Glance complex to far added agreeable from you! However, how can we keep up a correspondence? hi!,I like your writing very much! proportion we keep up a correspondence more about your post on AOL? I need a specialist on this house to solve my problem. May be that is you! Looking ahead to peer you. It’s really a cool and helpful piece of information. I am satisfied that you simply shared this useful info with us. Please stay us up to date like this. Thank you for sharing. Great awesome issues here. I am very glad to see your article. Thanks so much and i’m having a look ahead to contact you. Will you please drop me a mail? It¦s in point of fact a great and useful piece of info. I am satisfied that you just shared this helpful information with us. Please stay us up to date like this. Thank you for sharing. Hi, Neat post. There is a problem with your web site in internet explorer, would check this… IE still is the market leader and a large portion of people will miss your wonderful writing because of this problem. With everything which seems to be developing within this specific subject material, all your points of view are generally rather exciting. Nevertheless, I am sorry, but I can not give credence to your whole strategy, all be it stimulating none the less. It looks to everyone that your remarks are actually not totally justified and in reality you are yourself not really entirely certain of your point. In any case I did take pleasure in reading through it. I’ve been surfing on-line greater than three hours these days, but I by no means found any fascinating article like yours. It’s beautiful value sufficient for me. In my opinion, if all website owners and bloggers made just right content material as you probably did, the web can be a lot more helpful than ever before. You have observed very interesting points ! ps decent website . “I didn’t attend the funeral, but I sent a nice letter saying that I approved of it.” by Mark Twain. You have noted very interesting details! ps decent website . “Formal education will make you a living self-education will make you a fortune.” by Jim Rohn. Some genuinely rattling work on behalf of the owner of this site, utterly great subject material. Thanks for some other informative blog. Where else could I am getting that type of info written in such an ideal method? I have a venture that I am just now operating on, and I have been at the look out for such information. With every little thing which appears to be developing throughout this specific area, your points of view are actually quite refreshing. Nonetheless, I appologize, because I do not give credence to your whole plan, all be it stimulating none the less. It appears to us that your opinions are actually not totally rationalized and in fact you are yourself not really completely convinced of your point. In any event I did appreciate reading through it. Fantastic site. Plenty of useful information here. I’m sending it to some pals ans also sharing in delicious. And naturally, thanks for your sweat! hey there and thank you for your information – I have definitely picked up anything new from right here. I did however expertise some technical issues using this web site, since I experienced to reload the website a lot of times previous to I could get it to load properly. I had been wondering if your hosting is OK? Not that I’m complaining, but sluggish loading instances times will often affect your placement in google and can damage your high-quality score if advertising and marketing with Adwords. Anyway I’m adding this RSS to my email and could look out for much more of your respective fascinating content. Ensure that you update this again very soon..
Good – I should certainly pronounce, impressed with your website. I had no trouble navigating through all the tabs and related information ended up being truly easy to do to access. I recently found what I hoped for before you know it at all. Reasonably unusual. Is likely to appreciate it for those who add forums or anything, site theme . a tones way for your customer to communicate. Nice task..
It’s perfect time to make some plans for the future and it is time to be happy. I’ve read this post and if I could I want to suggest you few interesting things or advice. Perhaps you can write next articles referring to this article. I want to read more things about it! Its such as you learn my thoughts! You seem to understand a lot about this, such as you wrote the ebook in it or something. I think that you could do with a few p.c. to power the message home a bit, however other than that, that is magnificent blog. An excellent read. I’ll certainly be back. Hey there, You’ve done a fantastic job. I will definitely digg it and in my view recommend to my friends. I’m confident they’ll be benefited from this web site. As I website possessor I think the content material here is rattling excellent, appreciate it for your efforts. Some genuinely great info , Glad I detected this. “Someone’s boring me. I think it’s me.” by Dylan Thomas. I just like the helpful info you supply for your articles. I’ll bookmark your weblog and test once more right here frequently. I’m quite sure I will learn many new stuff proper here! Good luck for the following! What i don’t understood is actually how you are not actually much more well-liked than you may be now. You are very intelligent. You realize thus significantly relating to this subject, produced me personally consider it from so many varied angles. Its like women and men aren’t fascinated unless it is one thing to accomplish with Lady gaga! Your own stuffs great. Always maintain it up! Wow, awesome blog format! How long have you ever been blogging for? you made running a blog look easy. The total look of your web site is excellent, let alone the content material! I’ve been absent for a while, but now I remember why I used to love this site. Thank you, I?¦ll try and check back more frequently. How frequently you update your site? I enjoy you because of all your valuable work on this web site. My mom really likes setting aside time for investigations and it’s simple to grasp why. Almost all notice all relating to the compelling form you give invaluable thoughts via your web blog and therefore strongly encourage response from other ones on this issue while our favorite child is actually understanding a great deal. Take advantage of the remaining portion of the new year. Your doing a terrific job. oaYNQv Would you be taken with exchanging links? I am typically to blogging and i actually respect your content. The article has really peaks my interest. I’m going to bookmark your site and keep checking for brand new information. We absolutely love your blog and find most of your post’s to be exactly I’m looking for. Do you offer guest writers to write content for yourself? I wouldn’t mind creating a post or elaborating on most of the subjects you write related to here. Again, awesome web log! I believe this website contains very fantastic composed subject material blog posts. Thank you for another excellent post. Where else could anybody get that type of info in such an ideal way of writing? I have a presentation next week, and I am on the look for such info. you are in point of fact a good webmaster. The website loading velocity is amazing. It seems that you are doing any unique trick. Also, The contents are masterwork. you have performed a magnificent job on this matter! Thanks for another magnificent post. Where else may just anyone get that kind of information in such an ideal method of writing? I have a presentation subsequent week, and I’m on the look for such info. I am no longer positive the place you are getting your information, however great topic. I needs to spend some time finding out more or figuring out more. Thank you for fantastic info I used to be looking for this info for my mission. Hello! I’ve been following your web site for a long time now and finally got the courage to go ahead and give you a shout out from Huffman Texas! Just wanted to tell you keep up the good job! Wonderful web site. Plenty of helpful information here. I’m sending it to several buddies ans also sharing in delicious. And naturally, thank you to your sweat! Hello, i feel that i noticed you visited my site so i got here to “go back the prefer”.I’m trying to to find issues to enhance my web site!I suppose its ok to make use of some of your concepts!! I have been browsing online greater than 3 hours today, but I by no means discovered any attention-grabbing article like yours. It is beautiful value enough for me. In my view, if all site owners and bloggers made good content material as you probably did, the web can be much more helpful than ever before. I will immediately seize your rss as I can not to find your email subscription link or newsletter service. Do you have any? Please let me know in order that I could subscribe. Thanks. Valuable info. Fortunate me I found your web site unintentionally, and I’m surprised why this coincidence did not came about in advance! I bookmarked it. Whats up very nice site!! Guy .. Beautiful .. Superb .. I’ll bookmark your web site and take the feeds also…I’m glad to seek out numerous useful info right here within the submit, we’d like work out more strategies on this regard, thanks for sharing. . . . . . Thanks so much for giving everyone such a memorable possiblity to read in detail from this web site. It’s usually very good and jam-packed with amusement for me and my office acquaintances to search your site at minimum three times weekly to learn the latest issues you have got. Of course, I’m so certainly amazed for the fantastic hints served by you. Certain 4 ideas on this page are ultimately the best I have had. I was just seeking this info for some time. After 6 hours of continuous Googleing, finally I got it in your site. I wonder what’s the lack of Google strategy that do not rank this type of informative sites in top of the list. Generally the top sites are full of garbage. I really delighted to find this website on bing, just what I was searching for : D likewise saved to fav. You have observed very interesting points! ps nice web site. “Loneliness seems to have become the great American disease.” by John Corry. Some really great information, Gladiolus I discovered this. “A kiss is a lovely trick designed by nature to stop speech when words become superfluous.” by Ingrid Bergman. I am no longer sure the place you’re getting your info, however good topic. I needs to spend some time studying much more or understanding more. Thank you for fantastic information I used to be in search of this information for my mission. Appreciating the persistence you put into your site and detailed information you offer. It’s good to come across a blog every once in a while that isn’t the same outdated rehashed information. Great read! I’ve bookmarked your site and I’m including your RSS feeds to my Google account. Do you mind if I quote a few of your articles as long as I provide credit and sources back to your webpage? My blog site is in the very same niche as yours and my visitors would really benefit from some of the information you provide here. Please let me know if this ok with you. Many thanks! Good day! I simply would like to give an enormous thumbs up for the good data you might have right here on this post. I will be coming back to your weblog for more soon. Hi there, I discovered your blog by means of Google at the same time as looking for a related topic, your web site got here up, it seems to be good. I’ve bookmarked it in my google bookmarks. F*ckin’ remarkable issues here. I am very happy to peer your article. Thanks a lot and i am having a look forward to contact you. Will you kindly drop me a e-mail? Heya i am for the first time here. I found this board and I to find It really helpful & it helped me out a lot. I am hoping to present one thing back and aid others like you aided me. Hello, Neat post. There’s an issue together with your web site in internet explorer, would check this?K IE nonetheless is the market leader and a big element of folks will pass over your excellent writing because of this problem. F*ckin’ amazing issues here. I’m very glad to look your article. Thank you so much and i am looking ahead to touch you. Will you please drop me a e-mail? It?¦s really a nice and useful piece of information. I?¦m glad that you shared this useful information with us. Please stay us up to date like this. Thank you for sharing. I envy your work, thankyou for all the great content. Fantastic goods from you, man. I have understand your stuff previous to and you are just too magnificent. I actually like what you’ve acquired here, certainly like what you’re saying and the way in which you say it. You make it enjoyable and you still care for to keep it smart. I can not wait to read far more from you. This is really a tremendous web site. Hi! Quick question that’s completely off topic. Do you know how to make your site mobile friendly? My website looks weird when viewing from my iphone 4. I’m trying to find a template or plugin that might be able to resolve this problem. If you have any recommendations, please share. Thank you! Hey I am so grateful I found your blog page, I really found you by error, while I was searching on Askjeeve for something else, Anyhow I am here now and would just like to say thanks for a incredible post and a all round entertaining blog (I also love the theme/design), I don’t have time to browse it all at the minute but I have book-marked it and also added in your RSS feeds, so when I have time I will be back to read a great deal more, Please do keep up the fantastic work. I got what you mean , thanks for posting.Woh I am thankful to find this website through google. “Don’t be afraid of opposition. Remember, a kite rises against not with the wind.” by Hamilton Mabie. My husband and i were now comfortable when Michael managed to finish up his web research out of the ideas he was given using your web page. It’s not at all simplistic to simply find yourself giving out things which usually others could have been selling. So we recognize we’ve got the writer to thank because of that. These illustrations you made, the straightforward blog menu, the relationships you will aid to promote – it’s everything great, and it is helping our son and our family imagine that the concept is satisfying, and that’s unbelievably pressing. Many thanks for all the pieces! I don’t ordinarily comment but I gotta admit thankyou for the post on this one : D.
Hi there very nice website!! Guy .. Excellent .. Wonderful .. I’ll bookmark your blog and take the feeds additionally…I am glad to find a lot of helpful info here within the publish, we need work out more strategies on this regard, thank you for sharing. . . . . .
I’ll immediately grasp your rss as I can not in finding your e-mail subscription hyperlink or newsletter service. Do you’ve any? Please permit me recognize so that I could subscribe. Thanks. What i do not realize is actually how you are now not really much more smartly-appreciated than you may be right now. You’re very intelligent. You know thus considerably relating to this subject, made me individually imagine it from a lot of various angles. Its like women and men aren’t fascinated until it¦s one thing to accomplish with Lady gaga! Your own stuffs outstanding. Always take care of it up! My programmer is trying to convince me to move to .net from PHP. I have always disliked the idea because of the costs. But he’s tryiong none the less. I’ve been using WordPress on a variety of websites for about a year and am concerned about switching to another platform. I have heard excellent things about blogengine.net. Is there a way I can import all my wordpress content into it? Any help would be really appreciated! I beloved as much as you’ll receive performed proper here. The cartoon is tasteful, your authored subject matter stylish. nonetheless, you command get bought an edginess over that you wish be handing over the following. in poor health no doubt come more until now once more as exactly the similar nearly very regularly within case you protect this hike. You actually make it seem really easy with your presentation but I in finding this matter to be actually something which I believe I would never understand. It sort of feels too complicated and extremely extensive for me. I’m having a look forward on your next submit, I?¦ll try to get the hang of it! F*ckin’ amazing issues here. I am very satisfied to see your post. Thanks a lot and i’m taking a look ahead to touch you. Will you please drop me a mail? Outstanding post however I was wanting to know if you could write a litte more on this topic? I’d be very thankful if you could elaborate a little bit further. Many thanks! I was more than happy to search out this net-site.I wished to thanks for your time for this wonderful read!! I definitely enjoying every little bit of it and I have you bookmarked to take a look at new stuff you blog post. I have been exploring for a bit for any high-quality articles or blog posts on this sort of area . Exploring in Yahoo I at last stumbled upon this site. Reading this info So i’m happy to convey that I have an incredibly good uncanny feeling I discovered exactly what I needed. I most certainly will make certain to don’t forget this web site and give it a glance on a constant basis. I do trust all of the concepts you’ve offered on your post. They are very convincing and can definitely work. Still, the posts are too short for newbies. May you please extend them a little from subsequent time? Thanks for the post. Woah! I’m really digging the template/theme of this website. It’s simple, yet effective. A lot of times it’s very hard to get that “perfect balance” between usability and visual appeal. I must say you have done a amazing job with this. Additionally, the blog loads very fast for me on Firefox. Exceptional Blog! whoah this weblog is magnificent i love studying your articles. Stay up the great paintings! You realize, lots of people are looking round for this info, you can help them greatly. What i do not realize is in fact how you’re now not really a lot more well-appreciated than you may be right now. You’re so intelligent. You understand thus considerably in relation to this subject, produced me in my view consider it from so many varied angles. Its like women and men aren’t involved except it¦s something to accomplish with Woman gaga! Your personal stuffs excellent. Always deal with it up! whoah this blog is fantastic i really like studying your posts. Stay up the great paintings! You realize, a lot of persons are hunting around for this information, you could aid them greatly. I really enjoy reading on this internet site, it has great blog posts. “Sometime they’ll give a war and nobody will come.” by Carl Sandburg. What i do not understood is if truth be told how you’re no longer actually much more neatly-appreciated than you might be right now. You’re very intelligent. You already know therefore significantly in terms of this matter, produced me individually consider it from a lot of numerous angles. Its like men and women aren’t involved except it is one thing to accomplish with Girl gaga! Your individual stuffs outstanding. All the time care for it up! Outstanding post, you have pointed out some great points, I too think this s a very wonderful website. Great web site. Lots of helpful information here. I am sending it to several buddies ans also sharing in delicious. And of course, thank you on your effort! You made some respectable factors there. I regarded on the internet for the problem and found most people will associate with with your website. Hey very cool website!! Man .. Beautiful .. Amazing .. I will bookmark your site and take the feeds also…I am happy to find so many useful information here in the post, we need work out more strategies in this regard, thanks for sharing. . . . . . I admire your work, thankyou for all the informative posts. Great post. I was checking continuously this blog and I’m impressed! Very useful information particularly the last part 🙂 I care for such info a lot. I was looking for this particular info for a long time. Thank you and good luck. Just wish to say your article is as astonishing. The clearness to your post is just spectacular and i could suppose you are a professional on this subject. Well together with your permission allow me to take hold of your RSS feed to keep updated with imminent post. Thanks one million and please continue the rewarding work. Good post. I learn something more challenging on totally different blogs everyday. It can always be stimulating to read content from other writers and apply a little something from their store. I’d choose to use some with the content on my weblog whether you don’t mind. Natually I’ll give you a link on your net blog. Thanks for sharing. Magnificent goods from you, man. I’ve understand your stuff previous to and you are just extremely excellent. I actually like what you’ve acquired here, really like what you’re saying and the way in which you say it. You make it entertaining and you still take care of to keep it sensible. I cant wait to read far more from you. This is actually a great website. Wow, fantastic weblog structure! How long have you been blogging for? you made blogging glance easy. The full look of your web site is excellent, let alone the content material! Merely wanna input on few general things, The website style is perfect, the content is rattling superb. “The idea of God is the sole wrong for which I cannot forgive mankind.” by Marquis de Sade. Just desire to say your article is as astounding. The clarity in your post is just nice and i could think you’re an expert on this subject. Well together with your permission let me to take hold of your RSS feed to keep updated with drawing close post. Thank you 1,000,000 and please continue the enjoyable work. Hey would you mind sharing which blog platform you’re using? I’m looking to start my own blog soon but I’m having a tough time selecting between BlogEngine/Wordpress/B2evolution and Drupal. The reason I ask is because your design and style seems different then most blogs and I’m looking for something unique. P.S Apologies for being off-topic but I had to ask! But wanna input on few general things, The website design and style is perfect, the content material is rattling good : D.
Can I simply say what a reduction to search out someone who truly knows what theyre talking about on the internet. You positively know tips on how to bring a difficulty to light and make it important. More individuals have to learn this and perceive this aspect of the story. I cant imagine youre not more widespread because you positively have the gift. What i don’t realize is if truth be told how you are no longer actually much more well-preferred than you might be now. You’re so intelligent. You know therefore significantly in terms of this subject, produced me in my opinion consider it from numerous varied angles. Its like men and women don’t seem to be fascinated until it?¦s something to do with Girl gaga! Your individual stuffs excellent. All the time deal with it up! I really enjoy studying on this website , it holds great articles. It’s really a cool and helpful piece of information. I am glad that you simply shared this helpful information with us. Please stay us informed like this. Thank you for sharing. Have you ever thought about including a little bit more than just your articles? I mean, what you say is valuable and all. Nevertheless just imagine if you added some great graphics or video clips to give your posts more, “pop”! Your content is excellent but with pics and videos, this website could certainly be one of the most beneficial in its niche. Wonderful blog! I reckon something genuinely interesting about your weblog so I saved to bookmarks. But wanna comment that you have a very decent internet site, I like the pattern it actually stands out. Whats Happening i am new to this, I stumbled upon this I have discovered It absolutely helpful and it has aided me out loads. I’m hoping to give a contribution & assist other customers like its aided me. Good job. My brother suggested I would possibly like this website. He was once totally right. This publish actually made my day. You cann’t believe just how so much time I had spent for this information! Thank you! Fantastic site you have here but I was wondering if you knew of any community forums that cover the same topics talked about in this article? I’d really love to be a part of group where I can get suggestions from other knowledgeable individuals that share the same interest. If you have any recommendations, please let me know. Many thanks! Whats Happening i am new to this, I stumbled upon this I have found It absolutely helpful and it has aided me out loads. I’m hoping to give a contribution & help other users like its helped me. Great job. Really great information can be found on blog. “The American temptation is to believe that foreign policy is a subdivision of psychiatry.” by Robert Francis Kennedy. I will right away grab your rss feed as I can’t to find your e-mail subscription hyperlink or e-newsletter service. Do you’ve any? Please permit me recognize so that I may just subscribe. Thanks. Hiya, I’m really glad I’ve found this information. Today bloggers publish just about gossips and internet and this is actually annoying. A good site with interesting content, this is what I need. Thank you for keeping this site, I will be visiting it. Do you do newsletters? Can’t find it. It’s really a nice and useful piece of information. I am happy that you shared this useful info with us. Please stay us up to date like this. Thanks for sharing. Hey very nice web site!! Man .. Beautiful .. Amazing .. I’ll bookmark your blog and take the feeds also…I am happy to find numerous useful information here in the post, we need develop more techniques in this regard, thanks for sharing. . . . . .
What i do not understood is actually how you are no longer really much more well-appreciated than you may be now. You’re so intelligent. You know thus significantly relating to this matter, produced me personally imagine it from a lot of varied angles. Its like women and men are not fascinated except it is something to accomplish with Girl gaga! Your individual stuffs nice. At all times take care of it up! Hey! I know this is kinda off topic however , I’d figured I’d ask. Would you be interested in trading links or maybe guest writing a blog post or vice-versa? My website discusses a lot of the same subjects as yours and I think we could greatly benefit from each other. If you are interested feel free to shoot me an email. I look forward to hearing from you! Great blog by the way! Some genuinely nice and utilitarian information on this internet site, likewise I believe the layout contains fantastic features. Good ?V I should certainly pronounce, impressed with your site. I had no trouble navigating through all tabs and related information ended up being truly easy to do to access. I recently found what I hoped for before you know it at all. Quite unusual. Is likely to appreciate it for those who add forums or anything, site theme . a tones way for your client to communicate. Excellent task..
Wow, that’s what I was searching for, what a information! existing here at this website, thanks admin of this web page. Hi there! [url=http://cialisrnm.com/#buy-sildenafil-online]buy cialis online[/url] beneficial web site. I am glad for commenting to make you be aware of of the outstanding discovery my cousin’s princess gained reading your webblog. She figured out a lot of details, not to mention what it’s like to possess a marvelous helping character to have a number of people easily fully understand a number of multifaceted issues. You truly exceeded her expectations. Thanks for producing those great, trusted, edifying and even unique tips on your topic to Julie. I really enjoy reading on this site, it has fantastic posts. Very well written information. It will be supportive to anybody who utilizes it, as well as me. Keep up the good work – looking forward to more posts. It’s really a nice and helpful piece of information. I’m glad that you simply shared this helpful info with us. Please keep us up to date like this. Thank you for sharing. Aw, this was a very nice post. In concept I want to put in writing like this additionally – taking time and actual effort to make an excellent article… however what can I say… I procrastinate alot and in no way seem to get one thing done. Thanks a lot for sharing this with all folks you actually realize what you’re speaking approximately! Bookmarked. Kindly also talk over with my site =). We can have a hyperlink exchange agreement between us! I’m extremely impressed together with your writing skills and also with the structure for your blog. Is that this a paid subject matter or did you customize it yourself? Either way keep up the nice high quality writing, it’s uncommon to look a nice blog like this one these days..
What’s up to all, the contents existing at this web site are reallyawesome for people knowledge, well, keep up the good work fellows. M3at6h Muchos Gracias for your article post. Much obliged. I beloved as much as you will receive carried out right here. The cartoon is tasteful, your authored subject matter stylish. nonetheless, you command get got an shakiness over that you would like be delivering the following. unwell surely come further earlier again as precisely the same just about a lot continuously within case you defend this increase. I would like to express my gratitude for your kindness for women who really want help on the topic. Your personal commitment to getting the solution all over has been exceptionally helpful and have continually allowed workers like me to realize their aims. Your amazing informative hints and tips signifies so much a person like me and substantially more to my mates. With thanks; from each one of us. I truly enjoy reading on this site, it holds fantastic posts. “And all the winds go sighing, For sweet things dying.” by Christina Georgina Rossetti. Whats Happening i am new to this, I stumbled upon this I have discovered It absolutely useful and it has helped me out loads. I’m hoping to contribute & assist other customers like its aided me. Good job. Greetings from Colorado! I’m bored to tears at work so I decided to check out your blog on my iphone during lunch break. I really like the information you present here and can’t wait to take a look when I get home. I’m surprised at how fast your blog loaded on my phone .. I’m not even using WIFI, just 3G .. Anyways, fantastic site! Usually I do not learn article on blogs, however I wish to say that this write-up very compelled me to take a look at and do it! Your writing style has been amazed me. Thanks, very great post. I read this piece of writing fully regarding the comparison oflatest and preceding technologies, it’s awesome article. Absolutely composed subject matter, appreciate it for selective information. Thanks for another wonderful article. Where else could anybody get that kind of information in such an ideal way of writing? I’ve a presentation next week, and I am on the look for such information. I really enjoy looking through on this website, it contains great content. “Beware lest in your anxiety to avoid war you obtain a master.” by Demosthenes. I have observed that in the world today, video games are definitely the latest popularity with children of all ages. There are occassions when it may be extremely hard to drag your children away from the games. If you want the very best of both worlds, there are various educational video games for kids. Great post. Продвижение начинается с бумажной работы. Thanks for the suggestions you have contributed here. Something important I would like to mention is that laptop memory specifications generally go up along with other innovations in the technological innovation. For instance, if new generations of cpus are brought to the market, there is certainly usually a matching increase in the size demands of all laptop memory and hard drive space. This is because software program operated by simply these cpus will inevitably rise in power to take advantage of the new technology. One thing I’d really like to say is always that before purchasing more laptop or computer memory, look into the machine into which it is installed. If the machine is running Windows XP, for instance, the actual memory limit is 3.25GB. Putting in above this would purely constitute a new waste. Make sure that one’s motherboard can handle the particular upgrade amount, as well. Good blog post.